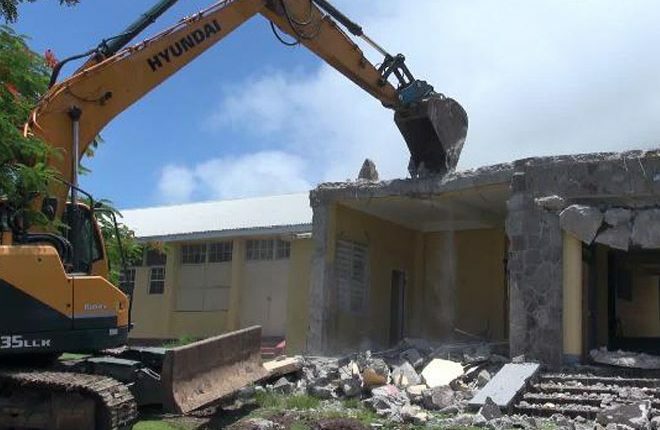 CHARLESTOWN NEVIS (July 19, 2017) — Work on a new administrative block at the Gingerland Secondary School (GSS), is expected to be completed in time for the start of the new school year in September. Raoul Pemberton, Director of the Public Works Department (PWD) in the Nevis Island Administration (NIA) told the Department of Information on July 19, 2017, that on completion, the new block will provide greater functioning space for the administrative staff and create a safer environment in a structurally sound building. “Upstairs you have a conference room. Something the school did not have … We are hoping that the conference room would have audio visual facilities…There is the secretary’s area, a waiting area, the principal and vice principal’s office…there’s also a bathroom upstairs… a small washroom for the principal and…we are going to have a bathroom downstairs,” he said. Meantime, Hon. Troy Liburd, Junior Minister in the Ministry of Communication and Works, said while witnessing the demolition works at the GSS on July 17, 2017, that the project falls under a partnership with the Ministry of Education which began in the summer of 2015. It paved the way for significant upgrades on some schools across the island. Other major projects earmarked for this summer are the expansion of the Gingerland Preschool, which would rectify health and safety challenges there and the refurbishment of the washrooms at the St. Thomas Primary School. General maintenance will also be carried out on other schools on the island. 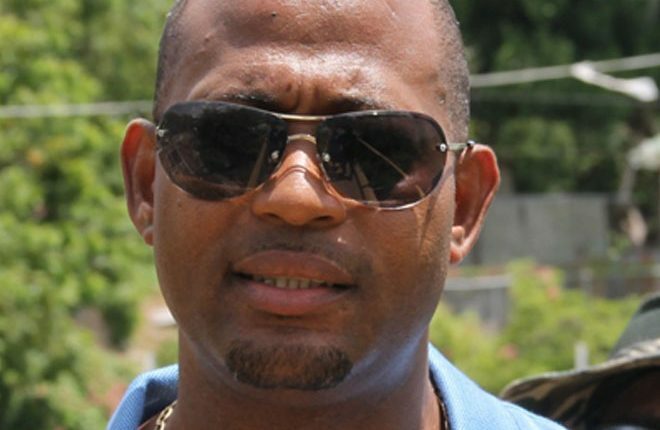 The minister, noted that although the GSS project will be done by local contractor Myron Jeffers, it will be managed and supervised by the PWD who designed it. 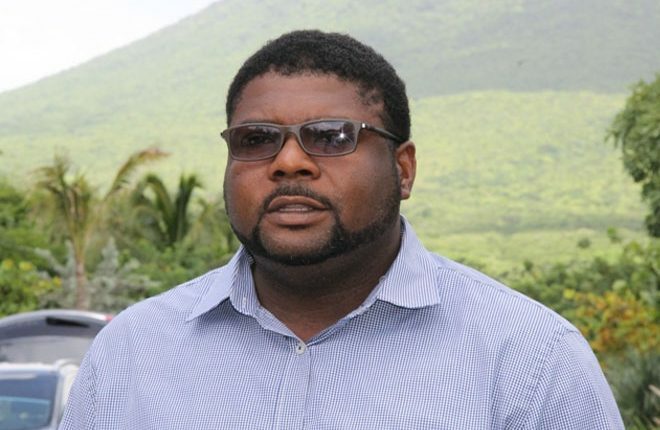 He said it was another example of the Administration’s promise to do work that benefits the people of Nevis, most of which would be done by locals. Mr. Liburd also expressed satisfaction with the project’s commencement and said he was looking forward to its conclusion.